Many other styles available but not offered online at this time. 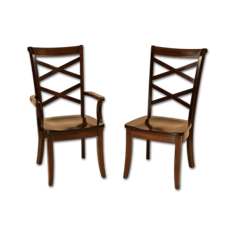 This fine chair has a scooped set, steam bent slats for comfort reminiscent of the Early Dutch style popular to New York since the early 1700s. A beautiful chair whose style is inspired by the crisscross pattern of the Greek Arcadian mountainside.Shown with wood seats , fabric seat(optional). 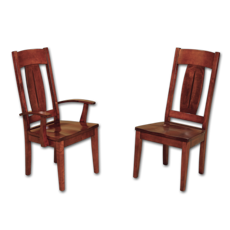 This chair has a mission style design with simple lines, tapered legs, and gently arched cross bars.Shown with wood seats , fabric seat(optional). 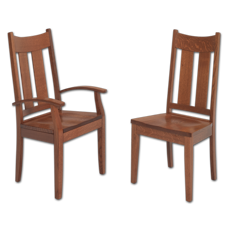 This chair has a mission style design with simple lines, flaired legs, and gently arched bottom cross bars.Shown with wood seats , fabric seat(optional). 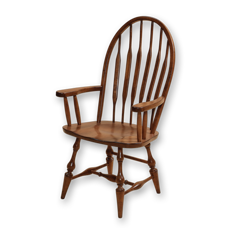 A fine example of a mission style chair reminiscent of the Arts and Crafts movement. 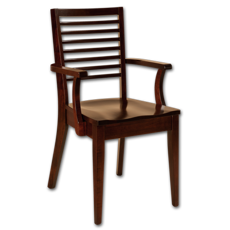 This chair is fine craftsman quality and construction. Shown with wood seats , fabric seat(optional). 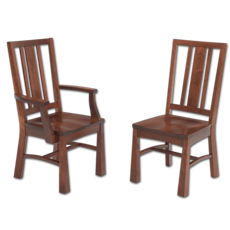 This chair offers a modern touch to the mission style joining the ergonomic bow in the back with a scooped seat for comfort. Shown with wood seats , fabric seat(optional).